Eastern Washington State College; Eastern Washington University -- Faculty; Eastern Washington University. History Dept. 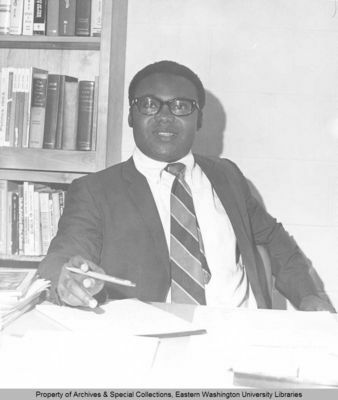 Photograph of Professor Ahanotu who served in the Department of History at Eastern Washington State College (currently Eastern Washington University) for the 1969/1970 academic year.